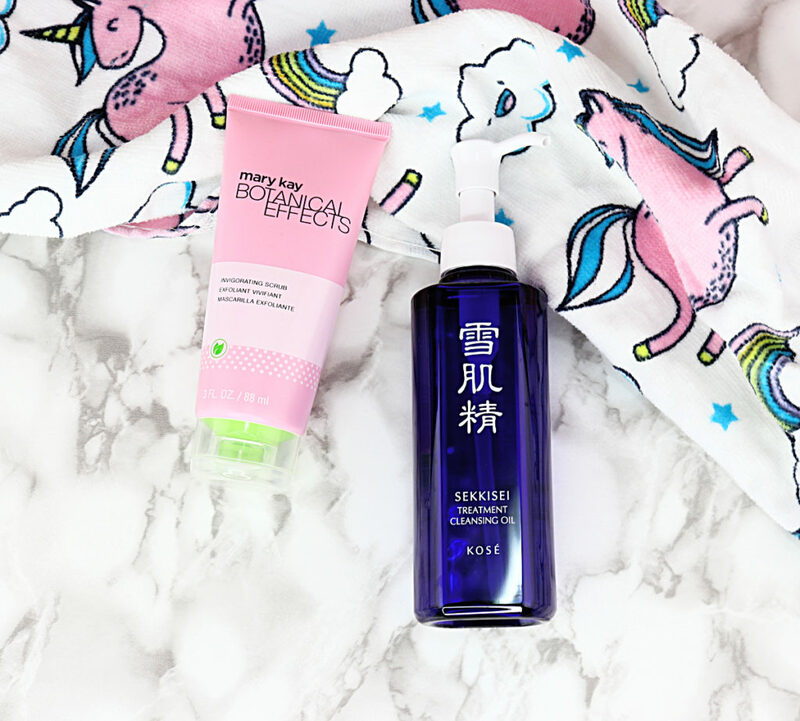 Sekkisei Clear Cleansing Oil / $29 / 160ml / Available at Shoppers Drug Mart: I’ve become addicted to cleansers this year but I’ve found that a lot of them end up stripping my skin and making it feel tight and dry. So then I switched to a cleansing oil and my skin (and life) changed. I actually discovered this one back in March but didn’t start using it until this past month and I’ve been loving it ever since. It’s gentle yet effective at removing all makeup, dirt and impurities from your skin and leaving it feeling soft and supple. It’s formulated with herb extracts like coix seed oil, apricot kernel oil and grape seed oil, to name a few with provide tons of nourishment and hydration. Mary Kay Botanical Effects Invigorating Scrub / $21 / 88ml: Since my skin has been feeling extra dry, I always make sure to scrub my face with something that isn’t too rough on my skin but still gets the job done while leaving it feeling soft and smooth afterwards. This new Mary Kay scrub is formulated with natural exfoliating fruit seeds (which you can see above) that help unclog pores and get rid of any dead skin, as well as most of the ingredients come naturally derived from coconuts and apples. It also contains dragon fruit extract that helps fight damaging free radicals, as well as contains aloe extract that comes with tons of antioxidants. The scrub also smells amazing and gives my skin a nice glow whenever I use it. La Roche-Posay Hyalu B5 Serum / $49 / 30ml / Available at Shoppers Drug Mart: I love a products that provide moisture and anti-aging benefits to my skin and when I can get those 2 qualities in one product, I love it even more. This anti-wrinkle serum from La Roche-Posay not only helps reduce wrinkles and fine lines over time but it also replumps your skin to give it more bounce and a suppler, healthier look overall. It feels really hydrating on my skin and very soothing so it’s a really nice anti-aging product to use when you don’t want to use anything that’s too aggressive. 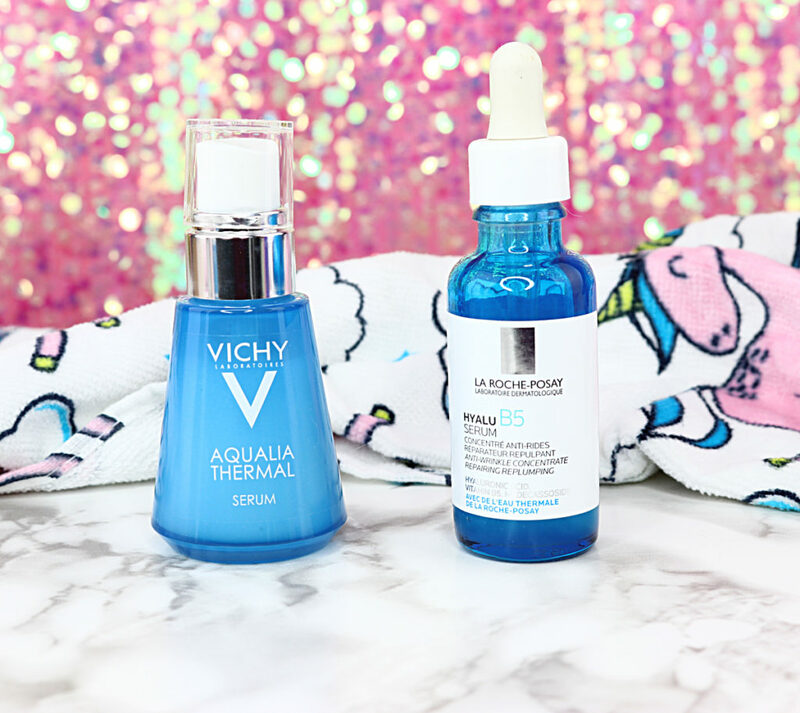 Vichy Aqualia Thermal Hydrating Serum / $42.95 / 30ml / Available at Shoppers Drug Mart: I love switching between this serum and the LR-P one depending on how my skin’s feeling. 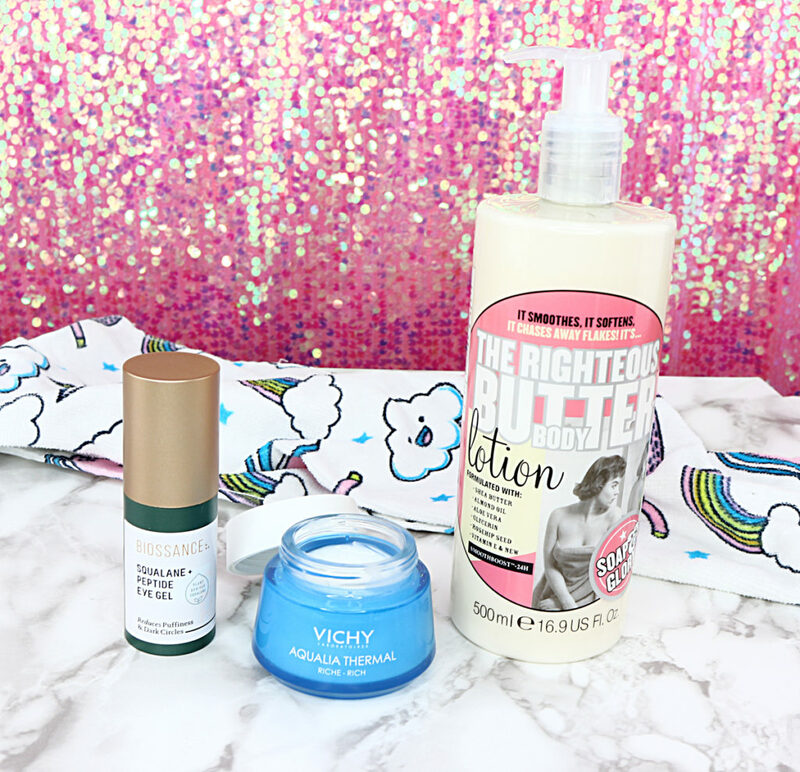 When I need more moisture, I gravitate towards this Vichy serum which compliments the moisturizer I’ve been loving lately. It contains hyaluronic acid, mineralized water and plant sugar mannose. The serum helps replenish dry and dehydrated skin to give it a dewy, soft and freshly hydrated feeling that lasts for 48 hours. Biossance Squalane + Peptide Eye Gel / $68 / 15ml / Available at Sephora: Biossance is a new brand to me that has quickly become a new skincare favourite. This eye gel is very lightweight and helps with puffiness and dark circles. Sleeping has been HORRIBLE lately and I have to avoid looking into the mirror before putting this on because my eyes always look so bad. The formula is rich in peptides and squalane, which acts as a barrier and prevents moisture loss. It’s a Sephora approved clean product and made without Sulfates SLS and SLES, parabens, formaldehydes, formaldehyde-releasing agents, phthalates, mineral oil, retinyl palmitate, oxybenzone, coal tar, hydroquinone, triclosan, and triclocarban. It’s very gentle yet very soothing under the eyes and I always notice a difference in my eyes whenever I put it on. This eye gel is going to continue serving me well when sleep gets even worse with a new baby around! Vichy Aqualia Thermal Rich Cream / $39.95 / 50ml / Available at Shoppers Drug Mart: My skin has been a lot drier than usual so I’ve had to amp up my moisturizer with something a little heavier. I’ve reviewed the original Aqualia Thermal line and this is an even richer formula that helps those with really dry skin. Like the serum, this cream contains hyaluronic acid, mineralized water and plant sugar mannose. 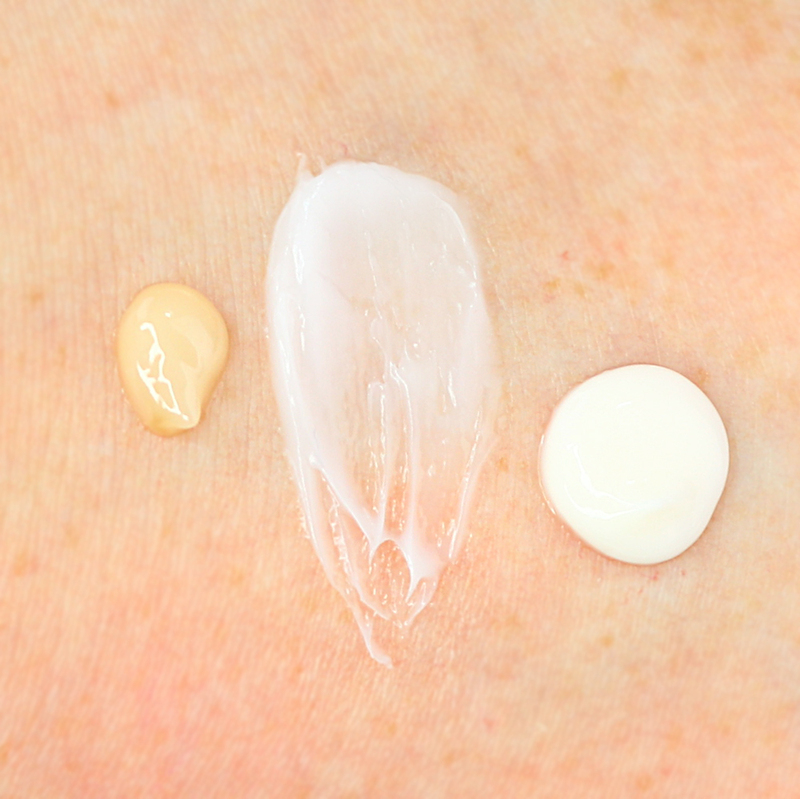 The cream hydrates dry, dehydrated skin giving it a moisturized, dewy look that lasts for 48 hours. I definitely feel like this cream really soaks into my skin and plumps it up quickly and gets rid of any tightness and flakes. Soap & Glory The Righteous Butter Body Lotion / $18 / 500ml / Available at Shoppers Drug Mart: I enjoy body lotions but admit that I never use them as much as I should. I have NEVER come across a body lotion that smells as beautiful and feels as hydrating as this body lotion. It completely took me by surprise as soon as I pumped some of it out. I knew immediately that I wanted to apply it EVERYWHERE. It is scented with bergamot, peach, vanilla and sandalwood.. so pretty much everything I look for in a perfume but in body lotion formula. This body lotion is rich yet lightweight and formulated with shea and cocoa seed butters, sweet almond and rosehip seed oils, aloe vera and vitamin E, as well as a special sourced seaweed that helps smooth rough skin. Since it is lightweight, it sinks into your skin really nicely and leaves it feeling incredibly soft and smooth. MaskerAide Face Masks / $7 ea. / 8ml / Available at Rexall: I am and always will be a face mask fiend. There’s something so relaxing and pampering about putting one on and kicking back while it works its magic. MaskerAide makes some of my absolute favourites and I just can’t get over the adorable packaging their masks come in. They have a mask for every concern and area of the face that needs extra attention and these two masks have been it for me lately. 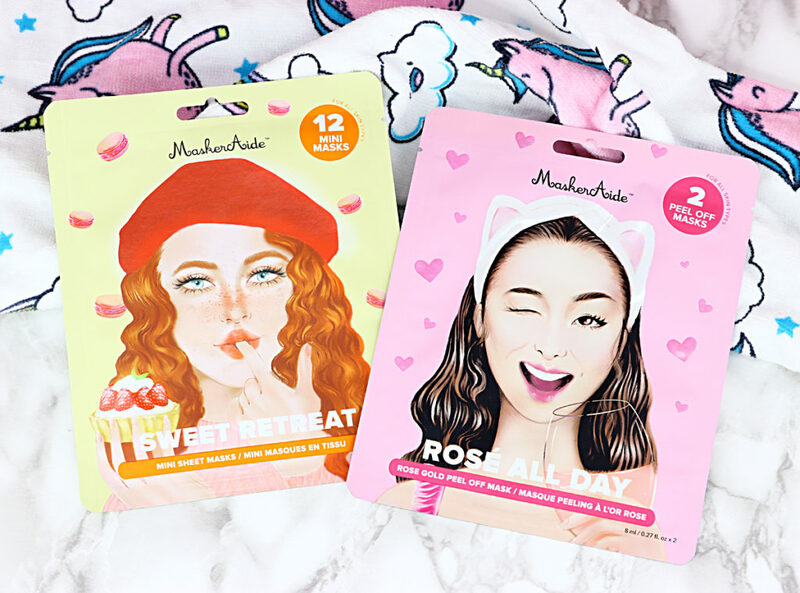 The Sweet Treats Mini Mask Sheets are perfect for targeting the troublesome areas on my face and it contains Vitamins C, A, B1 and B2 to help smooth and moisturize by replenishing your skin’s natural lipids and helping prevent moisture loss. It is a real treat for really dry areas on my face, especially along my jawline where I have areas that are drier and rougher in texture. The other mask I’ve been loving is the ROSÉ ALL DAY Rose Gold Peel Off Mask. Not only do I love it because the mask is a rose gold tone and *ahem* made with 24k gold flakes, it helps luminize and refine your skin tone, as well as helps visibly shrink your pores. The mask also helps firm your skin and gently removes any hairs on your face to give you a brighter more luminous tone. It all depends on what I’m needing at the moment but I know I can always find a treatment mask that answers all of my needs from MaskerAide! What do you guys think of my current go-to skincare essentials? 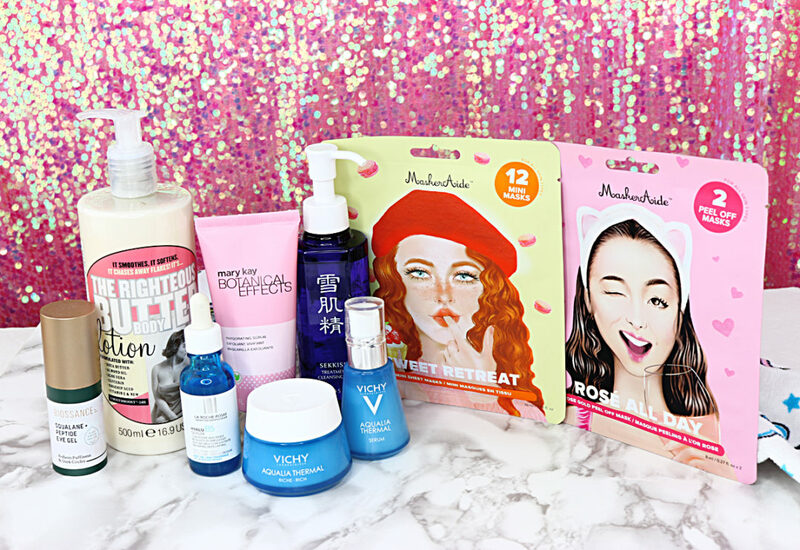 Have you tried any of these products out?! Share your thoughts below! Disclosure: Some of these products were provided for editorial consideration, however these are my honest opinions. Hi Glitter Babes & welcome to Glitter Diaries! I'm a self-professed glitter girl and, to me, glitter is a way of life! Living a sparkling life is about making the most of what you have no matter your budget. Follow me on my adventures in beauty, fashion and achieving an all around sparkling life!